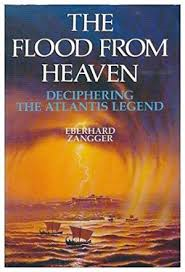 The Flood from Heaven , by Eberhard Zangger, takes a radical look at the Atlantis story and daringly suggests that Troy was the location of Atlantis. The author, a respected geoarchaeologist, has used his expertise to reconstruct the landscape of the plain of Troy, as it was during the Bronze Age, and compares it with the description of Plato’s Atlantis. Zangger is convinced that Plato refers to Trojan War in a disguised form. Zangger undoubtedly ruffled a few academic feathers, but undeterred he returned to the subject in a subsequent book.